This writers workshop helper-free file is just for you and it is perfect for kindergarten and first-grade! Let’s take a closer look inside! On the cover, we have a few reminders! We have tips on how to spell words. There is an editing checklist. You will also find a student-sized anchor chart that helps students when they think they are done. Inside there is a sound chart for digraphs and blends. There is a place for a student personal word wall. There is also a place for students to place their goals, writing ideas, and notes! NOTE: This is just a standard file folder. You will just fold the sides in to create a folder that looks like the one below… Easy peasy… and CHEAP! The back of the folder has an alphabet sound chart! This writers workshop helps works in concert with our writing units. It is a perfect way to put organizational tools in the hands of your young writers. I wanted to share some kindergarten informational writing samples. January is usually the month when we dive into informational writing. One thing I simply love about writers workshop is that it is automatically differentiated. In other words, you can have students at a variety of levels all working on writing, but some students might communicate with just illustrations, while other students will use a combination of words and illustrations to make their meaning known. All About Snakes was written by a kindergarten student who was on grade level. This is an example of what is possible when you begin writers workshop at the beginning of the year. Why wait? Great things are possible with explicit instruction. Students love it and you will be amazed at what students are capable of if you just trust that they CAN! This writing sample comes from another kindergartner who was in the same class… YES! He was an advanced student. His oral vocabulary was off the charts and he clearly knows a LOT about dinosaurs. I’ll be honest, often times I have to juggle things to meet the needs of all of my students. My intervention students need more of my time, but I also must make sure I offer challenge opportunities for students who are working beyond their current grade level. Writers workshop is perfect for this! AGAIN… writers workshop is automatically differentiated! You will simply need to add your email to box below and the file will be sent to you. NOTE: Please try to avoid using a school email. These tend to get blocked by district spam filters. This file was an exclusive Get Your Teach On! Conference file, but I am now retiring it. I am currently working on all new GYTO free files for conference goers…YAY! This year is going to bigger than EVER! To find out our conference schedule, please visit GET YOUR TEACH ON! Hello, every time I try to get one of your free files I am asked to subscribe with my best email. I do this and get an email that sends me to the blog and asks again for me to subscribe. I never get any free files, Do you know why this happens? I’m not sure, but the file has been downloaded by a lot of people so far, so it may be an issue on your end. If you want to email Deedee, she can help you better I think. In the email, include the email that you have been using to sign up, then she can do a bit of research. I have the same problem . The freebee will not download. Very frustrating. I just checked my email server and I’m not seeing that your email was entered. It has been downloaded close to 3,000 times, so I’m wondering if it is an issue on your end. We certainly don’t want it to be frustrating for you. So, if you have added your email to the box and you are not seeing the communication from me (check your spam/junk inbox), then go ahead an email Deedee. She can help troubleshoot it for you. I cannot see where to enter my email on the web page. There is not box at the end of the page. I’m sorry Bracey, I’m not sure what to say. The file has been downloaded a few thousand times. Perhaps, you have an issue with your device (Tablet? Phone?). If you want to email Deedee, she can troubleshoot it for you. This happens to me as well. Please let me know what I need to do to access the files! Thank you! Love all your products! Thank you! I see these are first grade resources. Do you have a similar one for kindergarten? Hi Jackie! Actually, these are for kindergarten. The writing samples in the blog post are also kindergarten samples, although one of them in an advanced writer sample. This resource will be perfect for those people who use our writing curriculum as it builds writers who come into kindergarten without any letter/sound association. We have personally experienced amazing results and those districts who have adopted our curriculum are as well. Please let me know if you have any other questions. I am happy to help. Thank you! This is a perfect help! Great! I’m glad you like them!!! Superb as always! Thanks for sharing your talent. Where did you get this type of file folder that opens in the middle? I love it! Your free file for writers is does not download. I am already a subscriber and now I need to re-subscribe in order to download? I love this! Thanks so much!! You rock! EEK! This is so great! Thank you for an amazing resource. I just gathered the materials to make these for my kinders to help in their writer’s workshop and also made one for my daughter who is in 1st and she’s been writing all afternoon with it. Who doesn’t love a little something special to encourage writing!! Thank you for being so resourceful and SO generous! Please help me get it, as of now I don’t see a link to direct me to enter my email address as you have specified above. Thank you! You are simply extraordinary, sharing is caring. Thank you again!! If you scroll to the bottom of the blog post, there is a big box where you will enter your email. Went to the bottom of the blog post and there is no link for printing the sheets. At the bottom of the page, there is a box that asks for your email address. If you put it in, the file is emailed to you. I’ve put my email in several times over the last week but haven’t received the download. I’ve checked my SPAM it’s not there either. I just checked my email server and it looks like on January 6th, you marked my email as “SPAM,” perhaps accidentally? There are really strict regulations, so that automatically blocks any of the emails coming from my email server from reaching you. SHOOT! Is there another email you could use? I absolutely did not do that on purpose, I’ll see if I can figure out how to reverse it. In the meantime you can use lmiw525@gmail.com Thank you for your help. We use Writing Through the Year in our kindergarten and LOVE it. So excited to try this in my classroom! I just attended your conference in Chicago and am very exited to try some new strategies! I would like to implement your writer’s workshop file folder idea. Thanks so much! This looks great in my class. it makes my class so organized. Just downloaded this the folders. I really want to focus on building better writers in kinder. Do you typically start using the folder early/first day/first week in the year? How do you introduce it to kinders since they usually can’t read when they enter kinder? This is a great idea. Thanks for the freebie!! 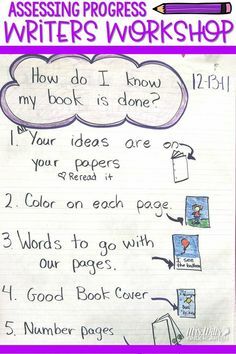 I am new subscriber and was looking forward to the Writer Workshop Helper for flap books. It never arrived in my mailbox. Advice? Hi there! If you don’t see it in your junk folder or spam folder. Send us a note to deedee@mrswillskindergarten.com and we can get it out to you. Do you laminate these folders or do they hold up ok without lamination? I want them to last more than one school year but I’m wondering if they wont fold as well once they are laminated. We had a thin laminator so they worked really well. I used the edge of scissors to score where the fold was and that did the trick!